In RED CLOCKS, Leni Zumas imagines a future in which women’s reproductive rights are fiercely regulated–abortion is illegal and dangerous, in-vitro fertilization has been criminalized, and no one may adopt unless partnered. Beautifully written, Zumas’ story is perfect for readers of Margaret Atwood and Octavia Butler. Our booksellers are so excited that it’s finally out! Hanna and Sara have high praise–Hanna says “Zumas beautifully wove the stories of five women together and gave each individual a strong & unique voice while also maintaining suspension of disbelief. These characters felt real and this world felt possible. I suspect this will be one of the best books published in 2018.” While Sarah says “In RED CLOCKS, Leni Zumas does a fantastic job of exploring the question “what is a woman for?” with five different characters. Zumas’ writing is refreshingly unique, and each thread of this story finds its perfect place as the main characters are drawn together. 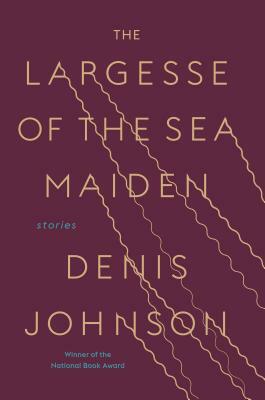 LARGESSE OF THE SEA MAIDEN is the long awaited follow-up to JESUS’ SON, and the final collection of stories from the beloved American writer Denis Johnson. Our booksellers can’t recommend it highly enough! Master bookseller Uriel says “LARGESSE OF THE SEA MAIDEN bookends the career of a great American writer. It is with the same brutal honesty of JESUS’ SON that Johnson captures a feeling of mortality and regret that pervade each page of this haunting collection.” And Events Coordinator Lindsey says “What can I say besides: I love Denis Johnson, and everything he touched turns to gold, and these stories are deeply sad and seem to predict his death in such a poetic, beautiful, visceral way. Such an important writer with a recognizably strong voice. This is a book to be cherished.” Don’t miss the final stories from Denis Johnson! This new YA book is getting a lot of love from our booksellers. Several of our staffers are in the middle of reading it right now and our Kids IM Staci calls it “fresh” and “unlike anything I’ve read recently in YA”. The story of a young American-born Indian girl in the US, Maya is torn between what her parents want for her–college close to home and pairing off with a “suitable” Muslim boy — and her dreams — living in New York City, going to film school, and finally talking to a boy she’s watched for years from afar since grade school. 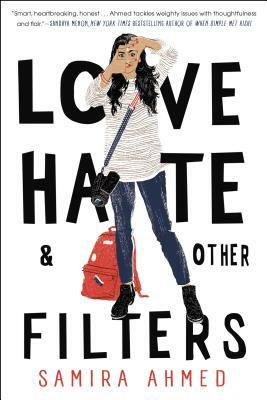 But when a horrific crime committed hundreds of miles away turns her community upside down, consuming neighbors and classmates alike with fear, bigotry, and hatred, Maya figures out where she truly belongs. In time for the one-year anniversary of the Trump Inauguration and the Women’s March, this provocative, unprecedented anthology features original short stories from thirty bestselling and award-winning authors, and artwork by some of today’s best known artists, cartoonists, and graphic novelists! Many of America’s leading writers and artists openly resist the current administration’s dogma and earliest policy moves, and they’re not about to go gently into that good night. 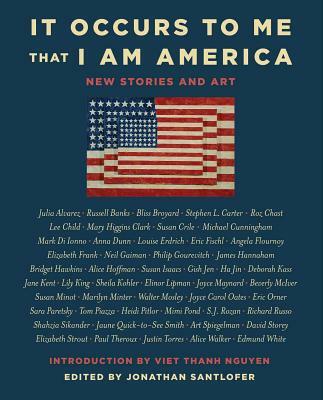 In IT OCCURS TO ME THAT I AM AMERICA, modern writers and artists consider the fundamental ideals of a free, just, and compassionate democracy — through fiction. 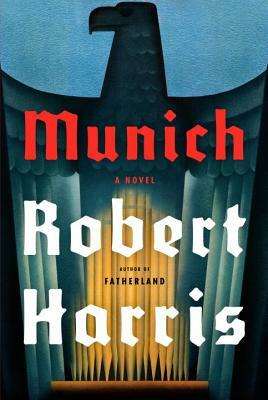 From the internationally best-selling author of FATHERLAND and the Cicero Trilogy — MUNICH is a new spy thriller about treason and conscience, loyalty and betrayal, set against the backdrop of the fateful Munich Conference of September 1938. Plus, we got SIGNED COPIES! Don’t miss out on this thrilling new novel from Robert Harris! 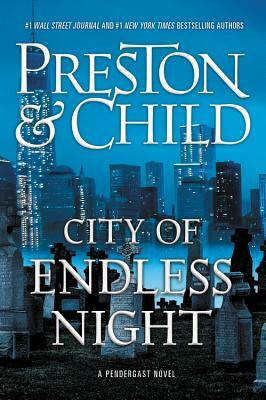 From the incredible writing duo behind RELIC and THE CABINET OF CURIOSITIES, books deemed two of the “100 best thrillers ever written” by readers, CITY OF ENDLESS NIGHT brings Lieutenant Penderghast and Special Agent D’Agosta together once more. Thrown together on the trail of a serial killer stalking New York City, it’s going to take all of the duo’s skill to unmask the killer! This beautiful debut novel has been highly anticipated by some of our booksellers for it’s deeply felt narrative of a sibling relationship, one sister a protector, and the other sister who lives her life on the grandest scale until she’s torn back to earth by her mental illness. 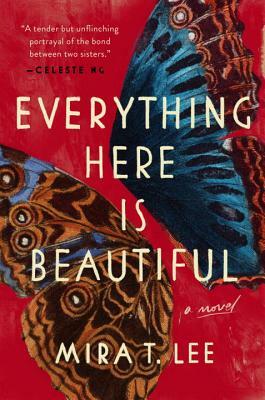 Told in alternating points of view, EVERYTHING HERE IS BEAUTIFUL is, at its heart, the story of a young woman’s quest to find fulfillment and a life unconstrained by her illness. But it’s also an unforgettable, gut-wrenching story of the sacrifices we make to truly love someone — and when loyalty to one’s self must prevail over all. An exhilarating, original novel, set in Brazil, Idaho, and outer space, about an obsessive librarian, a down-at-heel author, and a Mormon historian who go on the hunt for a mystical, life-changing book — and find it. 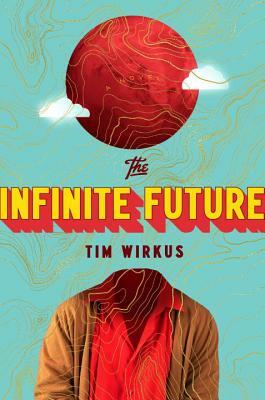 This is only Tim Wirkus’ second novel but it’s a wild ride and a half through a fantastic landscape that gets stranger at every turn–a deep nesting egg of story. Plus can you really resist that incredible cover?